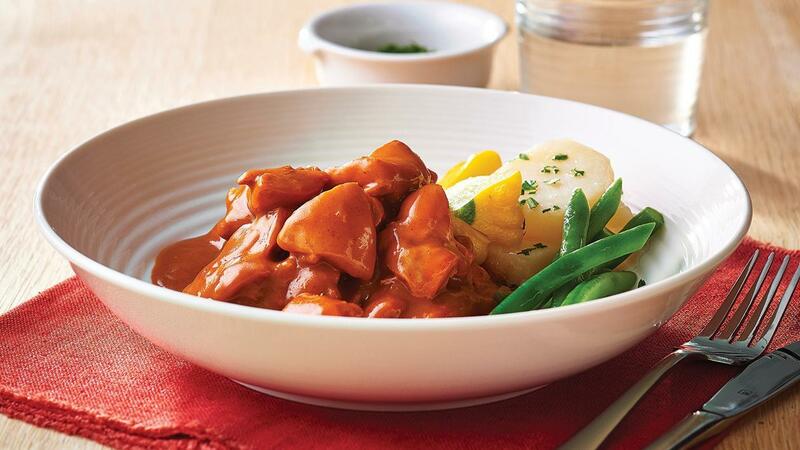 A popular mild curry dish that uses gravy as a base giving it a smoother texture. Combine all of the ingredients together and bring to the boil while stirring continuously, reduce heat and simmer for 20 minutes or until chicken is cooked. Serve with Green beans or steamed herbed potatoes or steamed squash.